With the summer TV pickings so terribly slim this year, Hollywood Prospectus editor Emily Yoshida has had to get creative in the search for some scripted romantic intrigue until her CW shows come back. 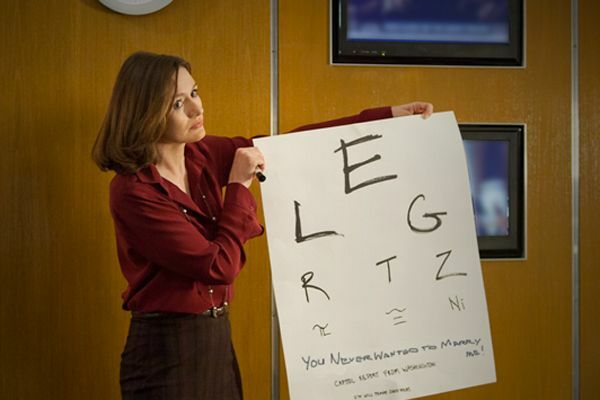 Here’s your week in ’ships on HBO’s The Newsroom. Editor’s note: I’m somewhat pressed for time this week, so we’re express ’shipping this episode. Also, despite all appearances, I don’t necessarily hate this television program, and there were a lot of things to like about last night’s show! Terry Crews and David Krumholtz are there now! “I’m going to single-handedly fix the Internet!” Will proclaims after a couple of on-air comments plucked from the ACN BBS were not the kind of reasoned, intelligent arguments he had expected from an anonymous online commenting system. The Information Superhighway has reared its ineffable head a few times before now, but it’s really starting to emerge as the MPDG of The Newsroom — the quirky, impossible-to-tie-down nymph who will confound and delight our fictional staffers (LOLs, asterisks) and our IRL showrunner alike (at least have your erstwhile writing room brainstorm like 50 commenter screen names for you to choose from before settling on “LollipopLollipop.”) So many bullets could have been dodged this week if they had just switched to Facebook commenting; at least then users would have to set up a fake account and populate it with pictures of other people’s cats before firing off their death threats. When the only person on your staff who seems to have a functional understanding of what the Internet is and how to make it go was raving about Bigfoot two weeks (four show months) ago, you might have an employee education problem on your hands. If Will McAvoy Is Going to Fix the News … Then Who’s Going to Fix … Will McAvoy? This week we find out that Will has been paying a psychiatrist for the last four years without seeing him, because is there really anything that sums up “Broken Rich Man” better than that? At first, Will is resistant to open up to Mr. Dr. Universe, but then realizes that therapy is yet another place where you give people money to pay very close attention to every word that comes out of your mouth, and you don’t even have to stick to current events! Hottest speechifying: “It doesn’t take a team of Viennese specialists to see you have unresolved feelings for Mackenzie.” Dr. Universe is SUCH a Willkenzie ’shipper. Will accidentally calls Sloane a “He” during one of his sessions, which I think means she’s just rocketed past Mac in terms of McAvoy Units of Respect. But he also refers to her as a “little sister” and delivers a master class of truth and belittlement that sends Sloane into a tailspin trying to prove herself, and almost leads to a TEPCO spokesperson’s death by seppuku. Luckily, all is saved when Sloane agrees to pretend she made a (kind of impossible, even for someone with the most rudimentary grasp of Japanese) mistake in interpreting numbers. So it all works out, and Sloane gets her first lesson in ACN martyrdom, except with less take-no-prisoners truth-seeking, and more pretending to be dumber than you are. Hey, girl. You know you need that wisdom from your overbearing mentor/father figure to retain the self-loathing and uncertainty that keeps you in your place professionally.